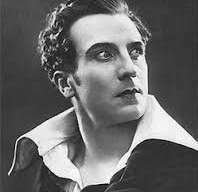 Edmund Kean was an English actor and was considered as greatest of his time. At the age of fourteen, he started his career from theatres and worked for 20 nights at York Theatre and played the roles of Hamlet, Hastings and Cato. Just after that he worked with Richardson’s Theatre, a travelling theatre company. This led him came into notice of George III, who pushed him to the stage of Windsor Castle. Further, he grew in his career and became the greatest actor of his time. A birth chart (also known as kundli, janma kundali, or horoscope) is a map of heaven at the time of birth. Edmund Kean's birth chart will show you Edmund Kean's planetary positions, dasa, rasi chart, and zodiac sign etc. It will also allow you to open Edmund Kean's detailed horoscope in "AstroSage Cloud" for research and analysis.